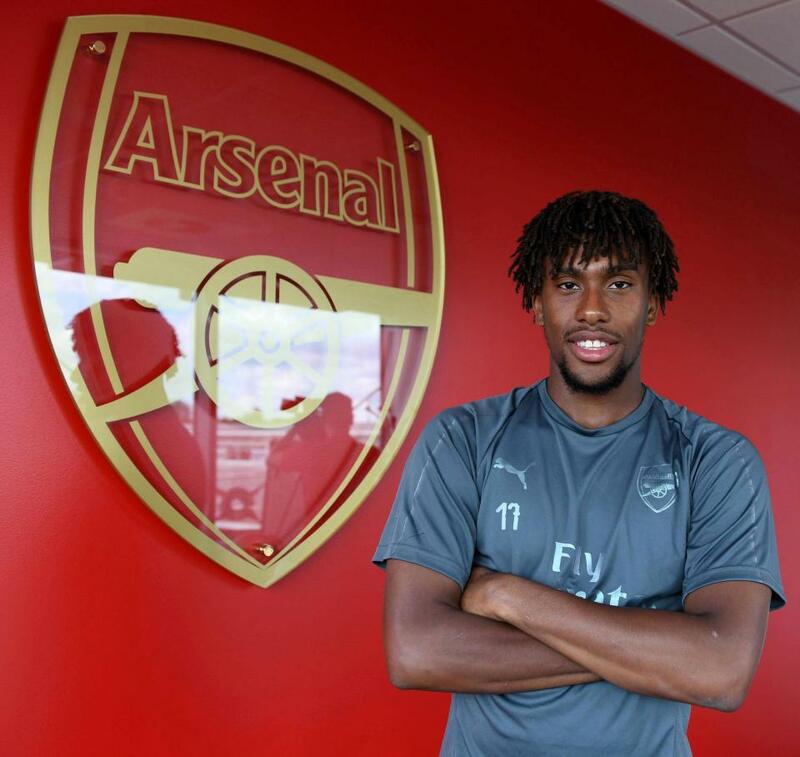 Alex Iwobi has signed a new five-year deal at Arsenal worth £ 70,000 a week. This has been announced on the official Twitter account of the club. The 22-year-old has promised his long-term future to the Gunners as he continues his love affair with his childhood club. SunSport reported last month how the Nigerian international sniffed Lazio's interest in Serie A to extend their stay with Londoners in the North. Speaking to the club's website, Iwobi emphasized his pride in continuing to play for the semi-finalists of the Europa League. He said, "I have always dreamed of representing Arsenal to young people. "Getting an extended contract is an incredible feeling and I hope I'm proud of the Arsenal family and that my family is proud of it." Iwobi, who joined the Gunners Academy at the age of six, added, "It's so special. "The first kit I had was Arsenal and I could continue to represent them for a long time." Boss Unai Emery said: "I am very pleased that Alex has signed a new contract with us. "This is a great example of a player who can succeed in the Academy through hard work and I look forward to working with him and our other talented young players on the team." Iwobi took the penalty shoot-out against Chelsea on Wednesday in the International Champion's Cup. Since joining the first team in the 2015/16 season, the Super Eagles star has collected 98 goals in all competitions nine times. He played 39 times under Arsene Wenger during the last campaign and has already made a strong impression on the former gaffer of Paris Saint-Germain.